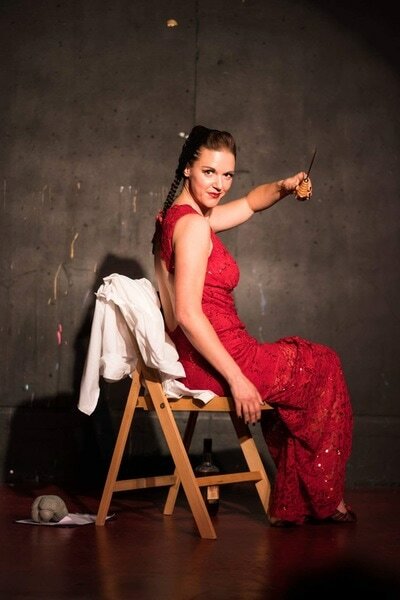 Bold, witty, and surreal, burlesque maverick Jeu Jeu la Foille fuses original beat poetry with the tormented lullabies of Tom Waits; punctuated with scientific accounts of perhaps the biggest error of judgment in medical history – the transorbital lobotomy. Dreamlike, passionate, and sometimes ridiculous; a dance through the woozy mythology, skewed narrative and embellished truths in the melancholic, irreverent world of Waits. Raising questions on differing attitudes towards mental illness, the various coping mechanisms, and with a unique blend of form and style -expect gruff puppetry, beatnik burlesque, spoken word, and a junkyard orchestra of musical reprobates. 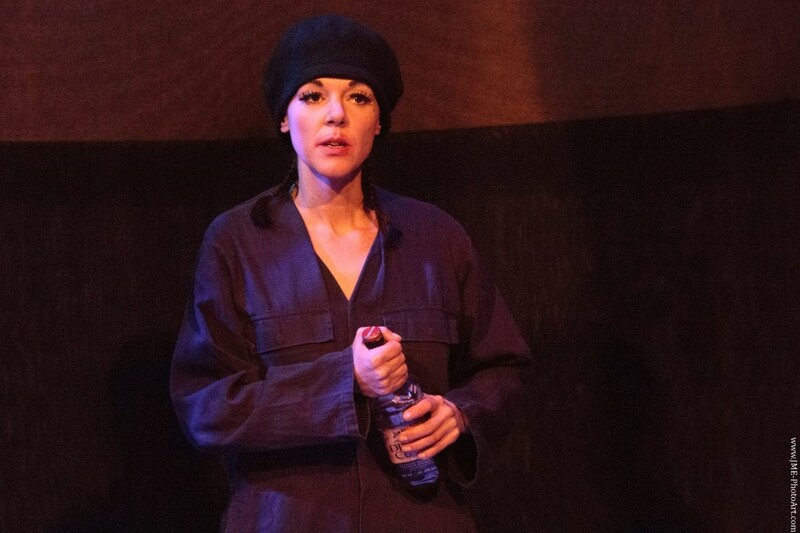 The show debuted at the Edinburgh Fringe in 2016, and secured Arts Council funding for a subsequent tour. The 2017 tour was launched at The Cavendish Arms, London on December 4th 2016. Friday 14th July, Guilford Fringe FestivalThe Star Inn (Back Room), Guildford. Creator and performer Victoria Hancock is trained in physical theatre, voice, puppetry and clowning (LISPA, LAMDA, Rambert and Queen Mary College, UofL). A popular and well-established regular on the UK cabaret scene, and known for her comic and narrative burlesque – Frontal Lobotomy is her debut solo show, with a deliberate lean toward poetic writing and vocal dexterity. Solo performance, small-scale touring theatre: Space required is minimum of 3 metres wide and 2 metres deep. Lighting: 1 mid-show black out required, practical (desk light) onstage, so an electricity source and extension lead required. Can be modified for different venues. Sound: 9 cues, tech script provided. Sound can also be operated by the performer if the speaker connection allows the ipad to be close to the performance space. I only use a microphone for excerpt performances, in very large or noisy venues.